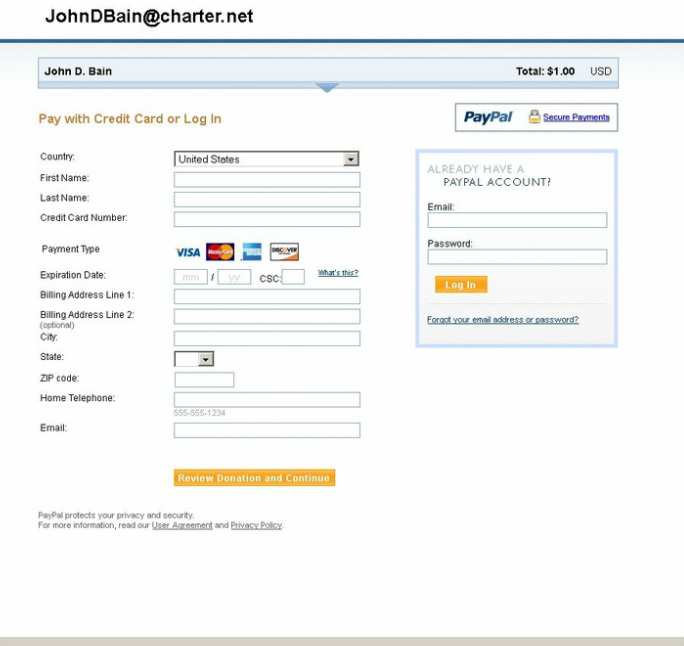 To purchase any product from John D. Bain by using your credit card you can access a secure pay site by clicking on the Donation button on the store page of this website. 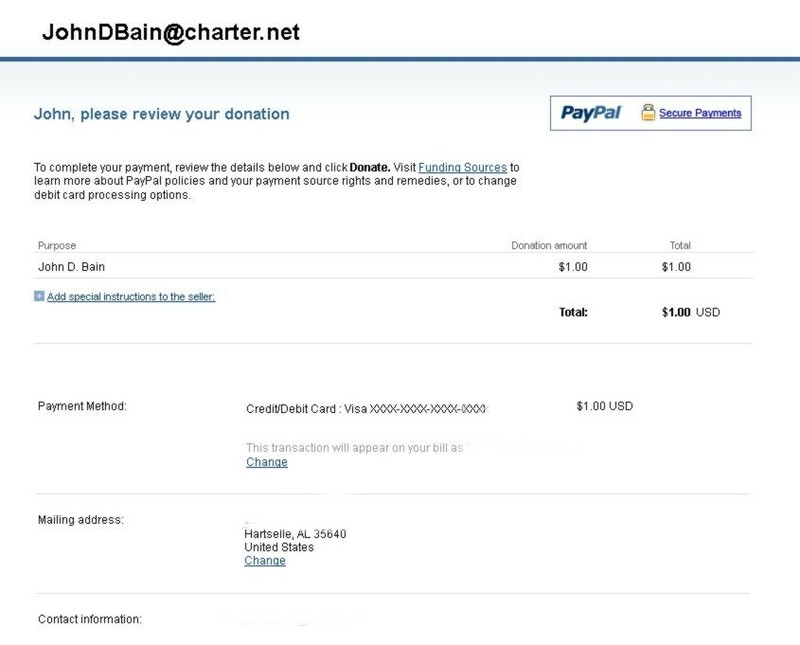 Below is a screen cap of the first page that you will see after clicking the Donation button. 1. Enter the amount of the product that you are purchasing in the box below "Donation amount." "continue" under "Don't have a PayPal account?" 3. Fill out all of the information (see below) in the left hand column (just ignore the PayPal login box). 5. If all of your information (above) is correct . . . click "Donate." 6. You will then be presented with a confirmation screen. You are Finished!